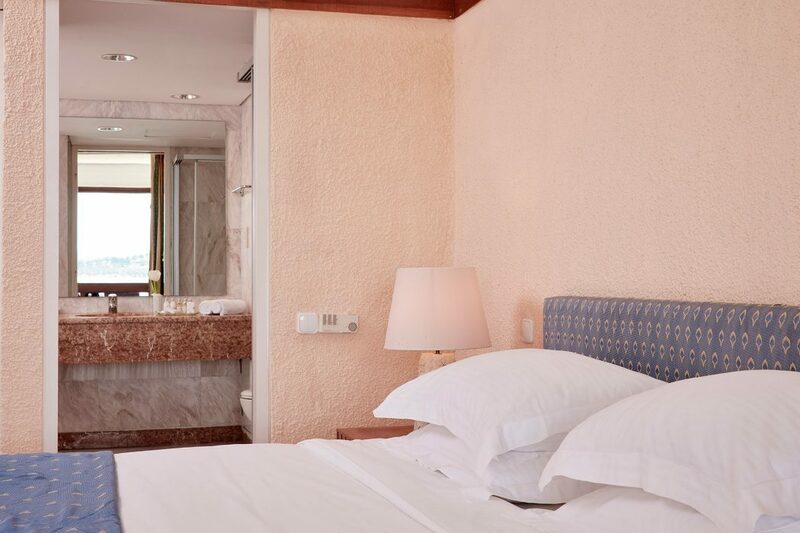 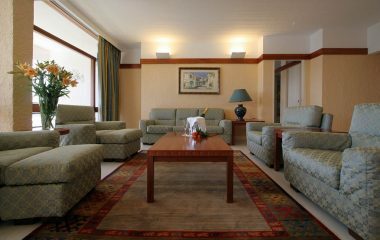 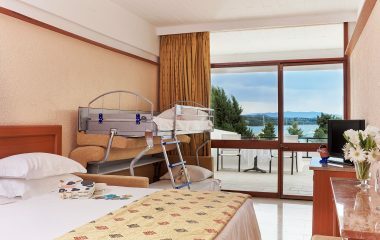 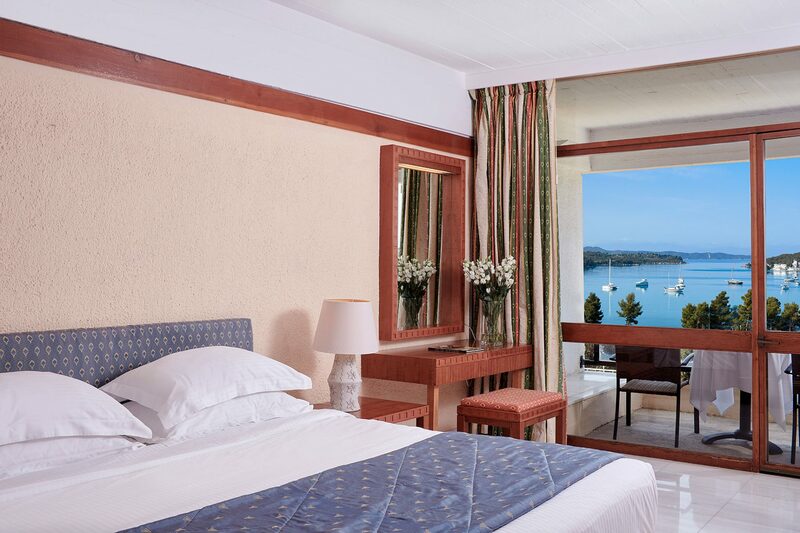 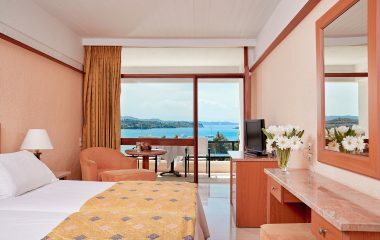 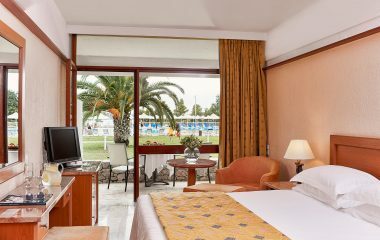 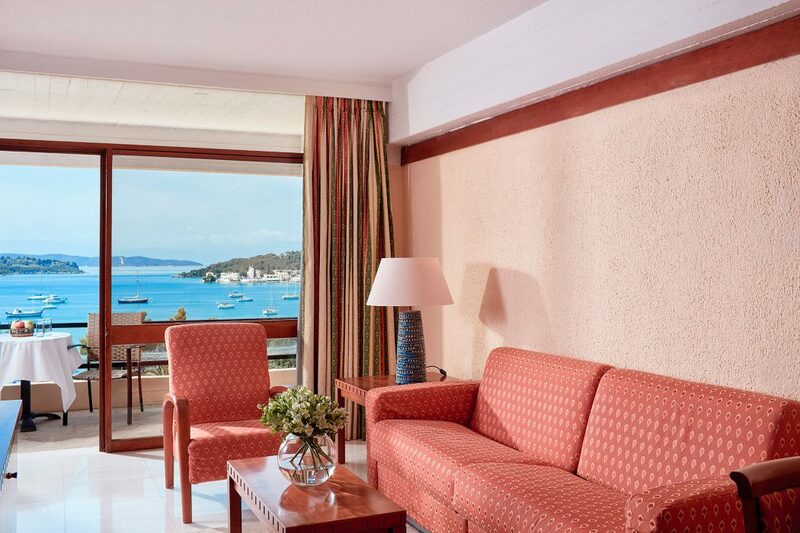 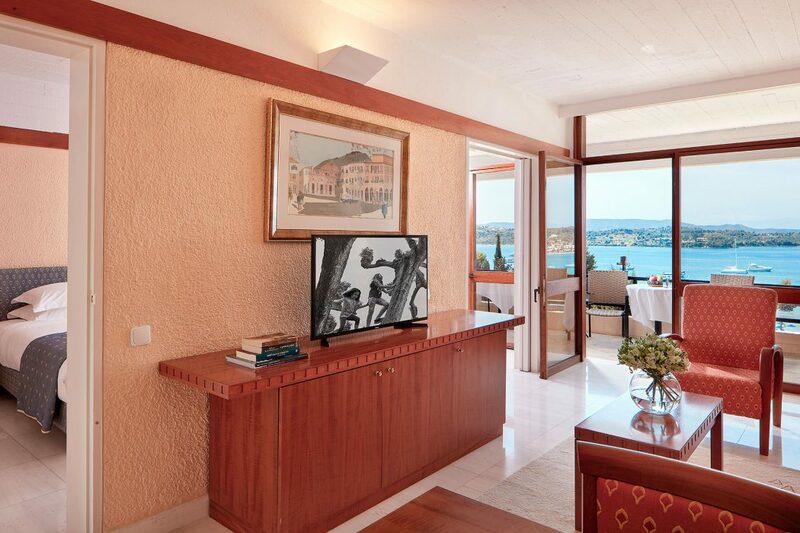 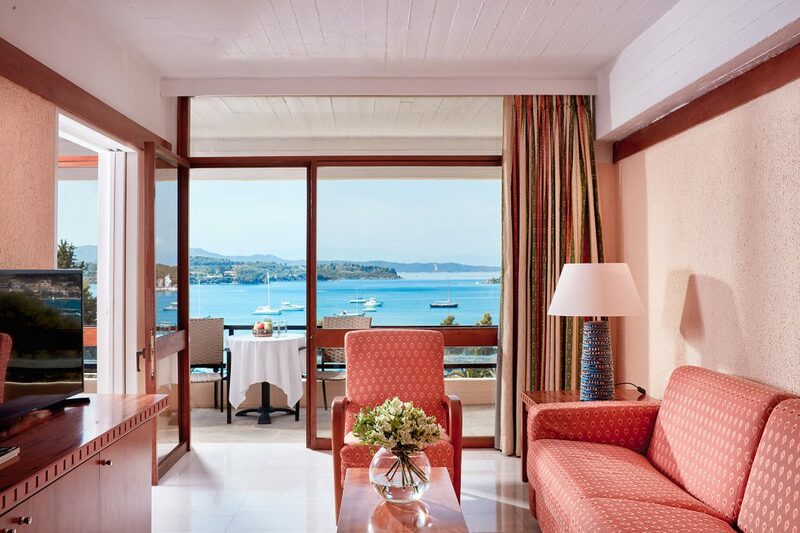 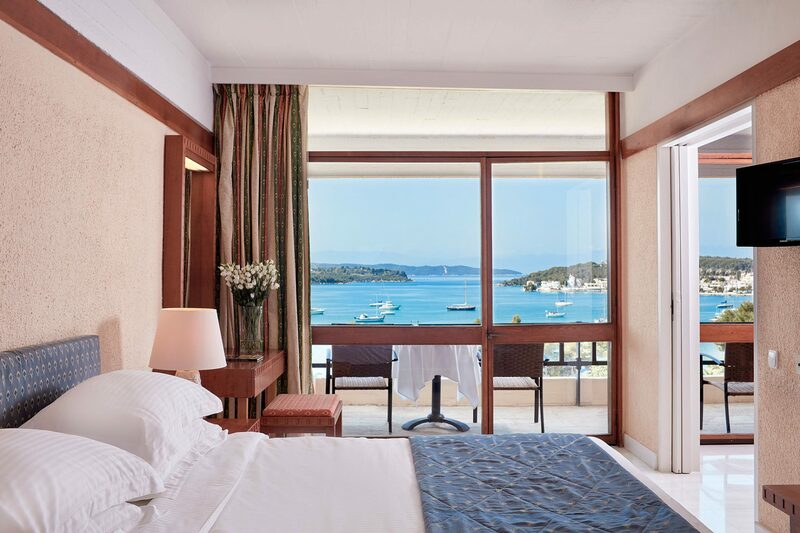 AKS Porto Heli has eight Junior Suites (44 sq.m.) 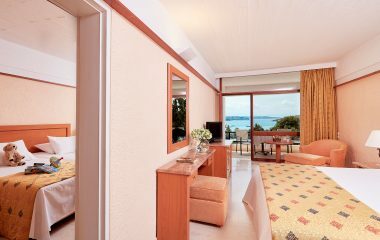 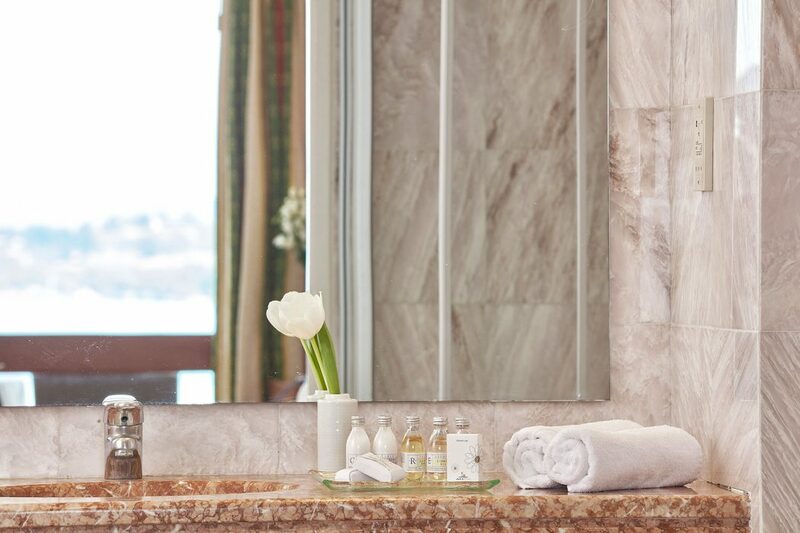 with amenities that meet even the highest expectations for a comfortable and relaxing holiday in Porto Heli. 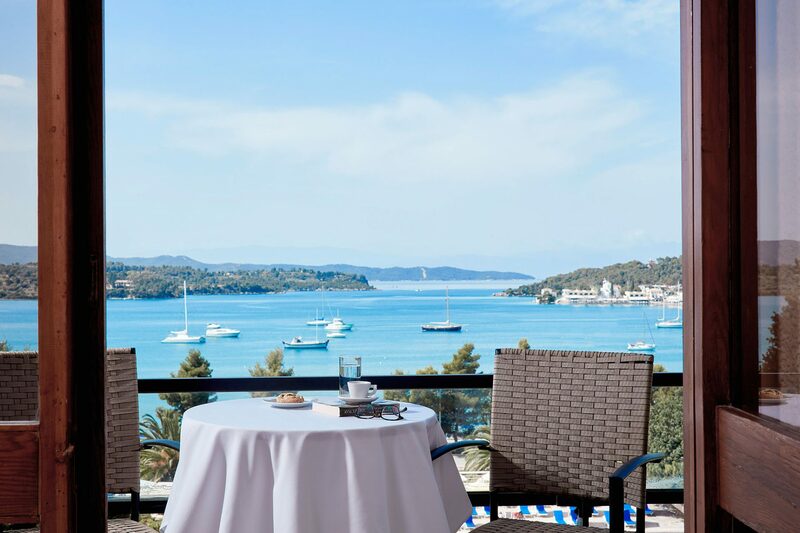 They have large private balconies boasting unique views of Spetses, a living room and dining area, spacious marble bathrooms, a safe, a large wardrobe, a fridge, individually controlled air conditioning, a telephone, two TVs and a WC for your guests. 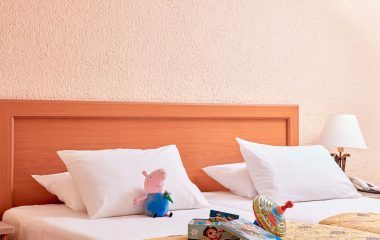 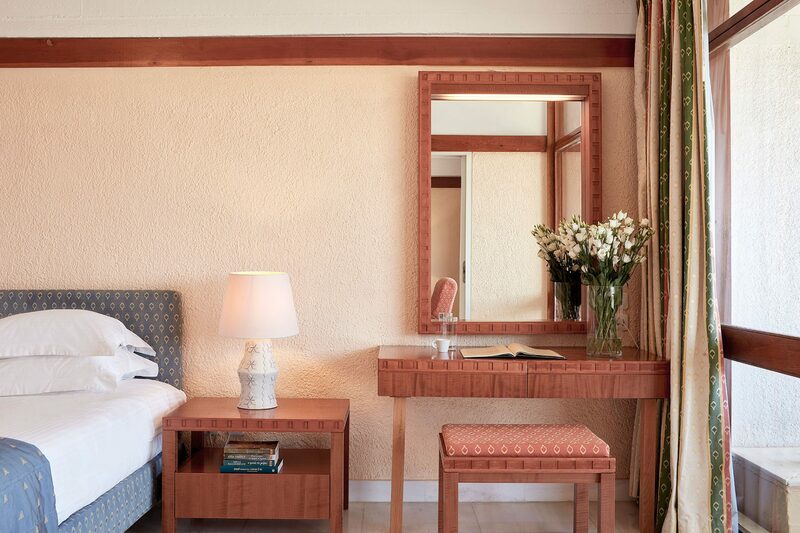 The Junior Suites are suited for accommodating up to 2 adults and 2 children.